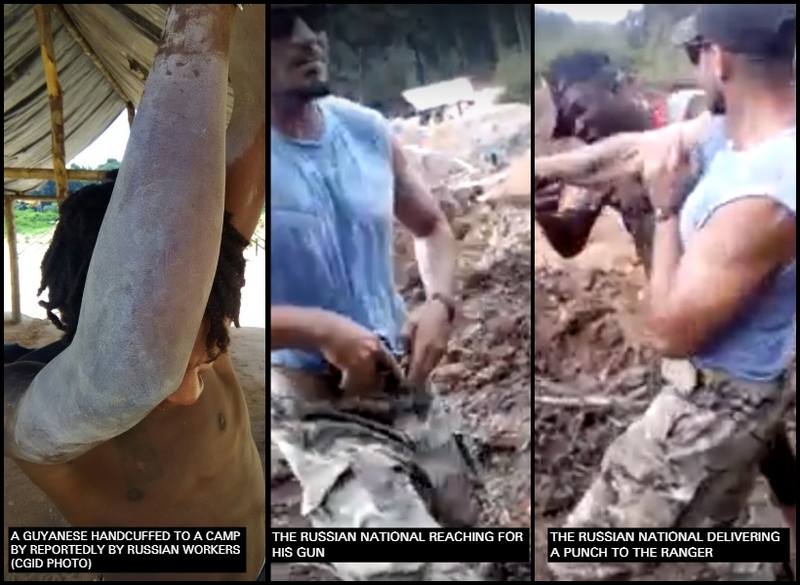 Having confirmed that the Russian, seen in a video recording punching a Guyanese miner last Friday, is a supernumerary constable, the Caribbean Guyanese Institute for Democracy (CGID) is calling for an urgent probe. The investigation, according to the body, should focus on the appointments of these constables and the issuance of gun permits and gun dealership licenses by the Guyana Police Force (GPF). A supernumerary constable means a person who is appointed by the Commissioner of Police to carry a firearm and act in a security capacity. Private security guards, who carry firearms, are supernumerary constables. CGID used the recent incident where security guard, Robert Goodluck also known as Robert Wren was appointed as a supernumerary constable despite spending some 20 years behind bars in the United States of America for murder and possession of narcotics and illegal firearm. Goodluck was able to fool local lawmen by changing his name. His criminal history only unraveled after he and his colleague were involved in a confrontation with Minister Simona Broomes and her driver at a Providence, East Bank Demerara business place last month. “The GPF did not conduct proper background checks before issuing these instruments (to Goodluck). These are acts of malfeasance and gross negligence that threaten public safety and national security,” the body said. It calls on the government to undertake an urgent audit of all persons who were sworn in as supernumerary constables and issued precepts to become armed security guards. Additionally, the body wants the ruling party to probe individuals or companies that were issued gun permits and gun dealership licenses under the previous government.